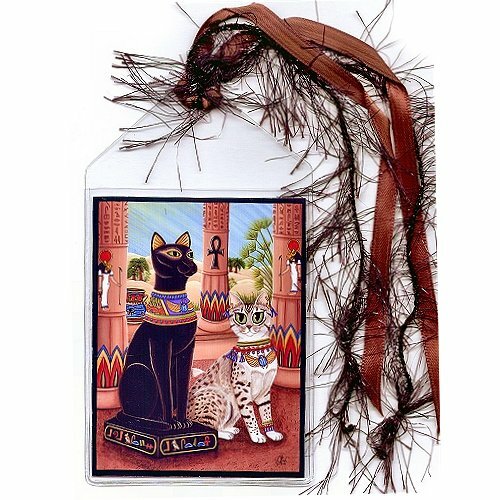 Bast Goddess - Bookmark - Egyptian Cat Goddess Bast, or Bastet, daughter of Isis and Ra, prote..
Temple of Bastet - Note Card - I have based this painting on the actual Temple of Bastet at Bubastis..
Temple of Bastet - Magnet - I have based this painting on the actual Temple of Bastet at Bubastis. 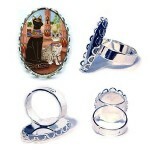 I..
Temple of Bastet - Ring - I have based this painting on the actual Temple of Bastet at Bubastis. 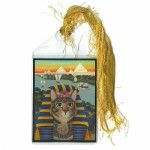 It'..
Temple of Bastet - Bookmark - I have based this painting on the actual Temple of Bastet at Bubastis. It's not exactly as the description but close and the temple is painted as red granite just like the temple originally was. 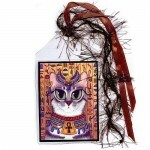 The Egyptian cat Goddess Bast, or bastet, daughter of Isis and Ra, protector of home and family, moon and sun goddess. 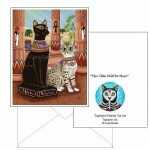 Temple of Bastet - Note Card - I have based this painting on the actual Temple of Bastet at Bubastis. 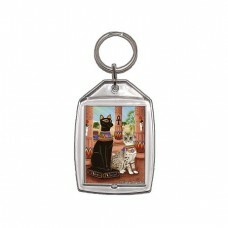 It's not exactly as the description but close an..
Temple of Bastet - Keychain - I have based this painting on the actual Temple of Bastet at Bubastis. It's not exactly as the description but close and..
Temple of Bastet - Magnet - I have based this painting on the actual Temple of Bastet at Bubastis. It's not exactly as the description but close and t..
Temple of Bastet - Ring - I have based this painting on the actual Temple of Bastet at Bubastis. 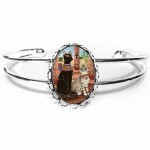 It's not exactly as the description but close and the..
Temple of Bastet - Cuffed Bracelet - I have based this painting on the actual Temple of Bastet at Bubastis. 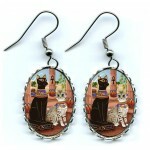 It's not exactly as the description but cl..
Temple of Bastet - Earrings - I have based this painting on the actual Temple of Bastet at Bubastis. 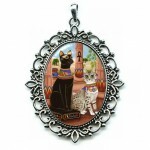 It's not exactly as the description but close and..
Temple of Bastet - Cameo Necklace - I have based this painting on the actual Temple of Bastet at Bubastis. 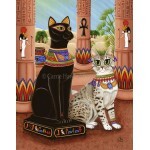 It's not exactly as the description b..
Temple of Bastet - Prints - I have based this painting on the actual Temple of Bastet at Bubastis. 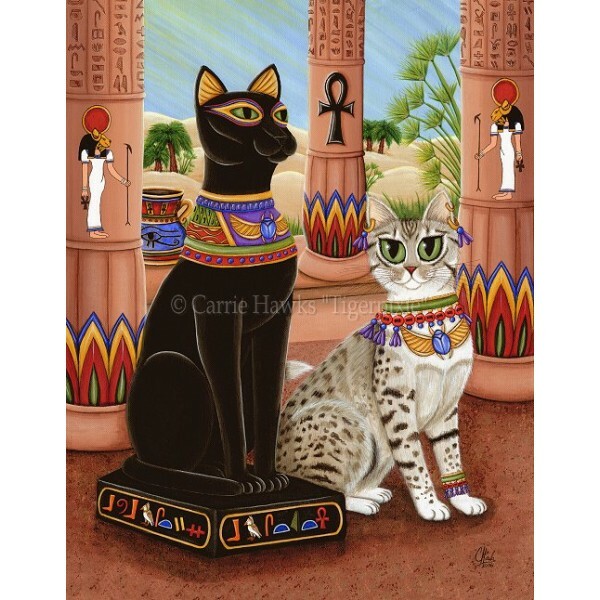 It's not exactly as the description but close and t..
Temple of Bastet - Limited Edition Canvas Prints - I have based this painting on the actual Temple of Bastet at Bubastis. It's not exactly as the desc..
Egyptian Pharaoh Cat - Bookmark - AKA The "King of Pentacles" for the 78 Tarot Nautical Deck. 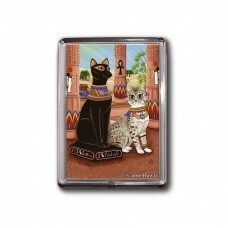 This is a card representing of power, success, and..